Open quatrefoil design on back. 5"W x 7"T; holds a 4" x 6" photo. 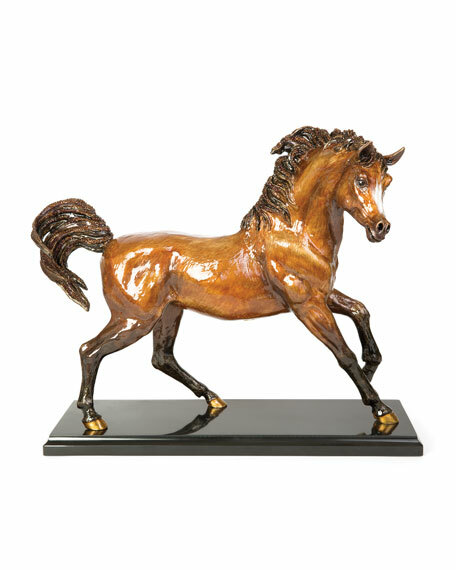 Handcrafted Arabian horse figurine. Beautifully designed for the Highland collection. 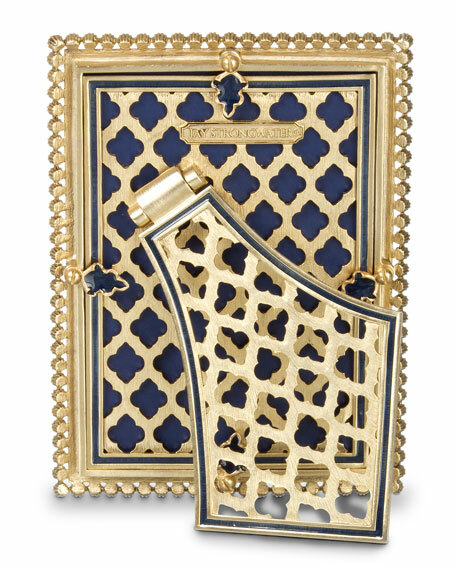 Hand-painted enamel and set with Swarovski crystals set on a marble base. 17"W x 6"D x 14.5"T. Made in the USA. 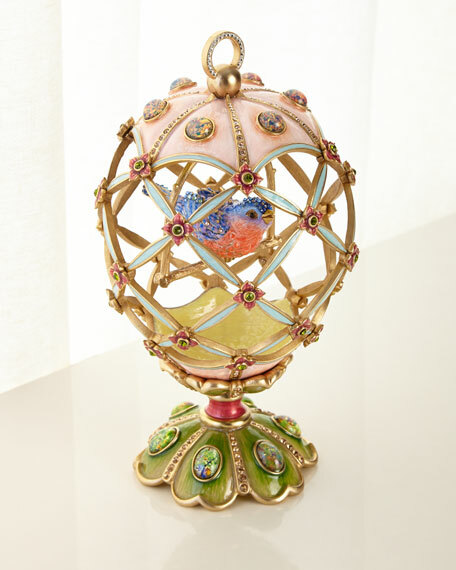 Handcrafted floral woven egg objet encasing a blue hummingbird figurine from our "Easter" collection. 14-karat gold light brown antiqued. Hand-painted details. Overall: 4.75"Dia. x 9.75"T. Made in the USA. 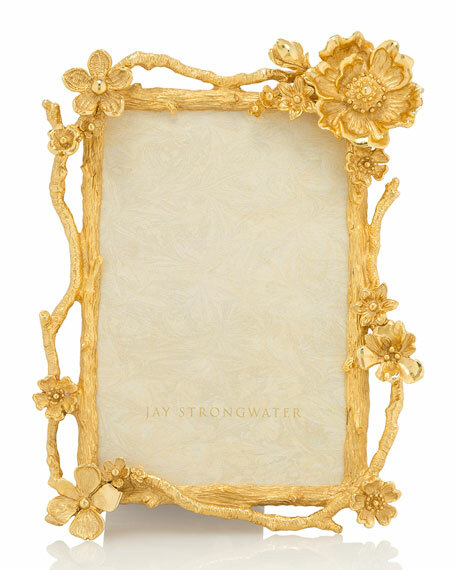 Handcrafted frame from the Flora Fauna Collection. 14-karat gold pewter base. Glass and enamel trim. Swarovski crystal detail. 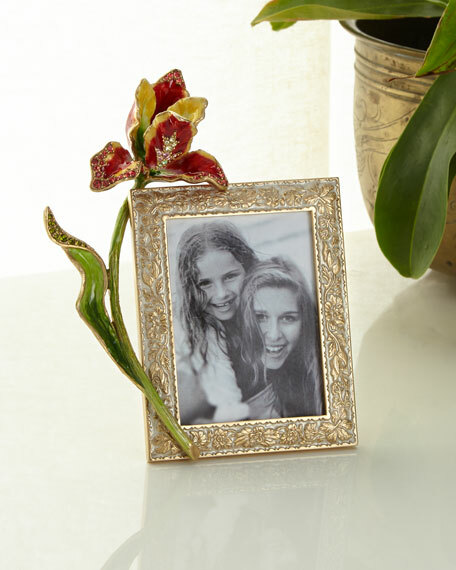 Overall, 5.5"W x 7.3"T. Holds 3" x 4" photo. Hand wash. Imported. 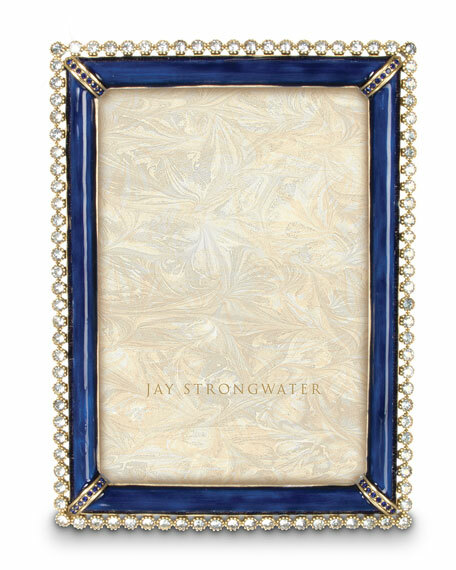 Handcrafted, hand-polished 18-karat gold plated frame. From the Composition Collection. Finished with a mahogany backplate and kickstand. Overall, 6"W x 8"T. Holds 4" x 6" photo. Pewter base; glass. Hand wash. Made in the USA.